Director General of Black Shark, a subsidiary of Xiaomi, Wu Shimin said that the recent renderings of their game smartphone is nothing more than a terrible forgery and have nothing to do with reality. Together with this in the social network Weibo was published a new teaser smartphone Black Shark, revealing details about the design of the novelty. The Black Shark smartphone will have an unusual shape with sloping corners, in which all wireless interfaces will be located. 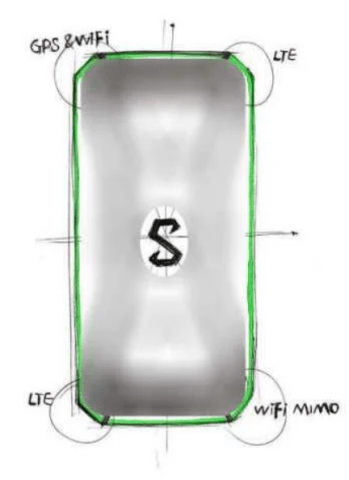 It will be the first device in the world with X-shaped antenna design. This solution is implemented so that during the game the user does not overlap the signal with the palm, which is especially important in multi-user titles. According to reports, the novelty will receive a screen with an aspect ratio of 18: 9, a Snapdragon 845 processor, 8GB of RAM and MIUI on Android 8.0 Oreo. 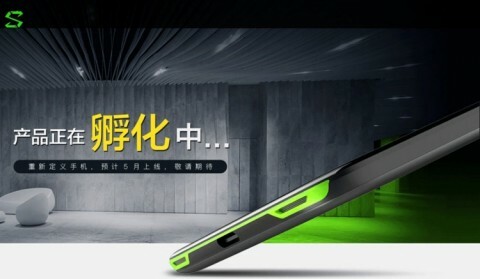 The official presentation of the smartphone Black Shark will be held on April 13.